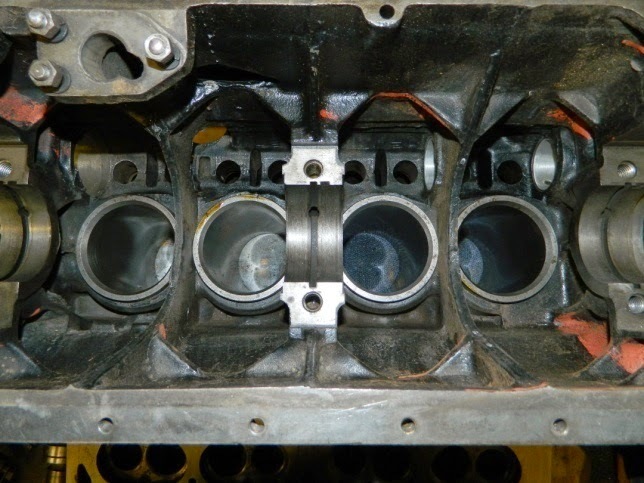 Our last blog on the engine (Part 9) gave a general overview of the engine's condition following a complete strip down of all its parts. This in turn revealed one of our main concerns, that the head did indeed have a crack in it. 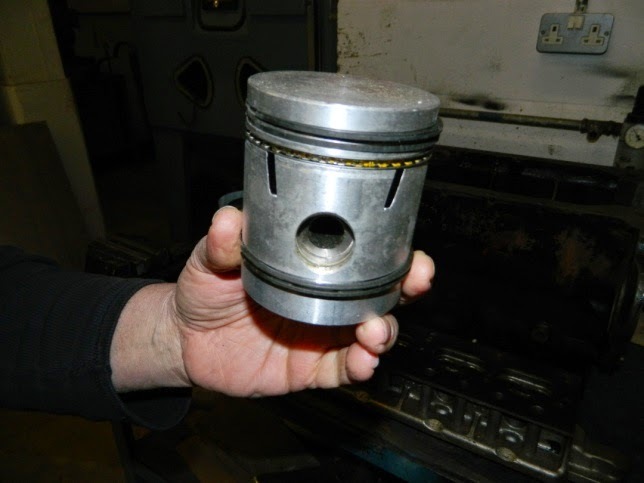 We also needed new piston rings, which we were finding difficult to source. So, after a thorough detailed inspection and much debate, the general consensus of opinion was that the head could and should be repaired. Also it was decided that we should insert new liners with appropriate new pistons. All this work was carried out by a local third party specialist. The crack was right in the centre of the head and you may just be able to pick out the pins which were inserted to secure the weld. 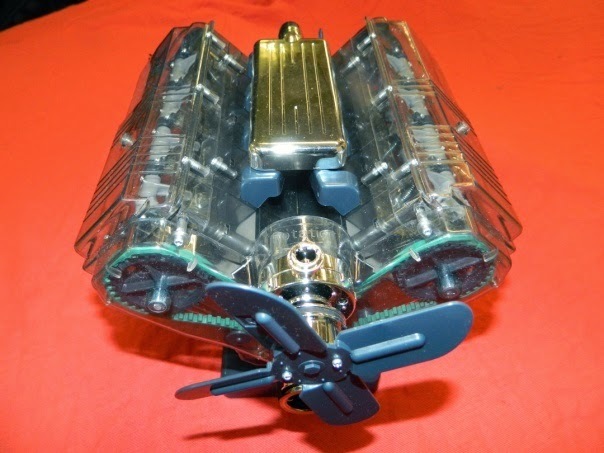 These photos show the new liners in the Standard's 1570cc petrol engine and one of the new pistons. 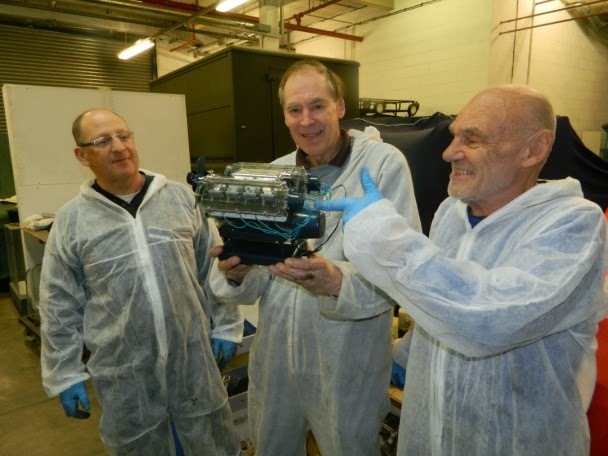 Whilst as explained in previous blogs, the body/chassis is still a major restoration task for the volunteers, the engine and gearbox project is now progressing well. 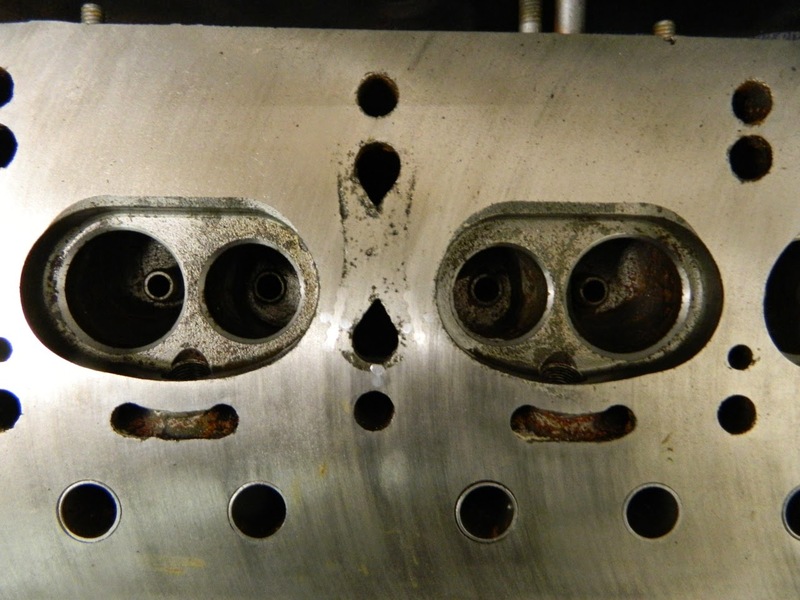 Incidentally, when the engine was away for repair, the team that has been working on it was presented with another task: to - build a new V8 engine. Well, actually it was a very intricate and clever working model that the museum's education department wanted as a demonstrator for children. It proved quite a challenging task at times, but also very amusing and enjoyable. Roger, Mike and John hope that the Ensign's engine will run as smooth as the model's.